Dr. Gail Joseph is an incredible innovator in the early childhood field, working to infuse new research and findings on high-quality teaching into everyday practice. A new endowed fund and professorship created by the Bezos Family Foundation will focus on improving outcomes for early learners and bolster the University of Washington College of Education’s ongoing work to advance early childhood research and practice in Washington state and beyond. Gail Joseph, one of the nation’s leading early learning researchers and founding director of Cultivate Learning at the UW, will be the inaugural holder of the Bezos Family Foundation Distinguished Professorship in Early Learning. Cultivating a leading workforce of early learning providers equipped with the evidence-based practices needed to shift the odds for underserved children and families. Investigating—and inspiring—innovations, collaborating across sectors to generate new knowledge about what works in giving our youngest learners a strong start. Creating and leading partnerships that move early learning innovations into daily practice. In addition to seed funding for research on emerging innovations in early childhood education and care, the gift endowment will support UW doctoral students who are engaged in research-practice community partnerships. During the past decade, Joseph and her team have secured more than $67 million in public and private funding to overhaul national Head Start curricula, create Washington’s quality-rating system for child care sites, and design and deliver early education training and professional development programs nationwide. Through the Washington Early Achievers quality-rating program, Cultivate Learning staff have completed more than 7,500 program assessments impacting more than 50,000 preschoolers across the state. 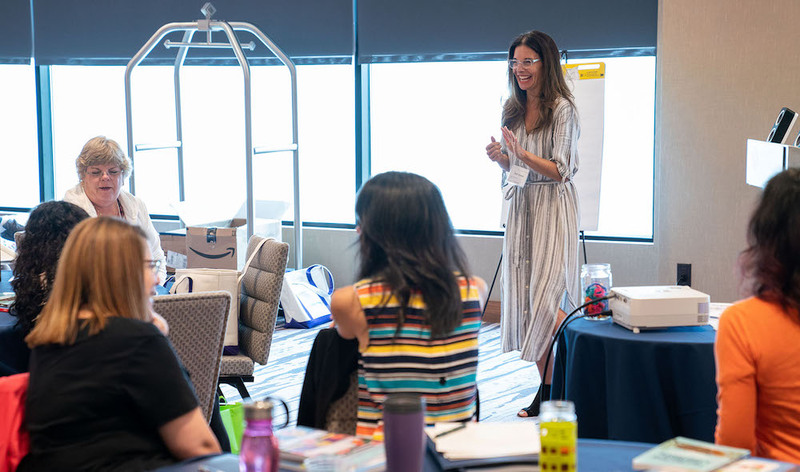 In addition, Cultivate Learning has trained more than 250 early learning coaches and provided professional development workshops for more than 4,000 early learning professionals in Washington. Former Seattle mayor and city council member Tim Burgess noted the broad impact made by Joseph and her fellow researchers at the UW. Mia Tuan, dean of UW College of Education, said the new professorship will help secure Washington’s leadership in efforts to provide high quality early learning experiences to all children.